Take love to new heights with these matching wedding bands from Apples of Gold. 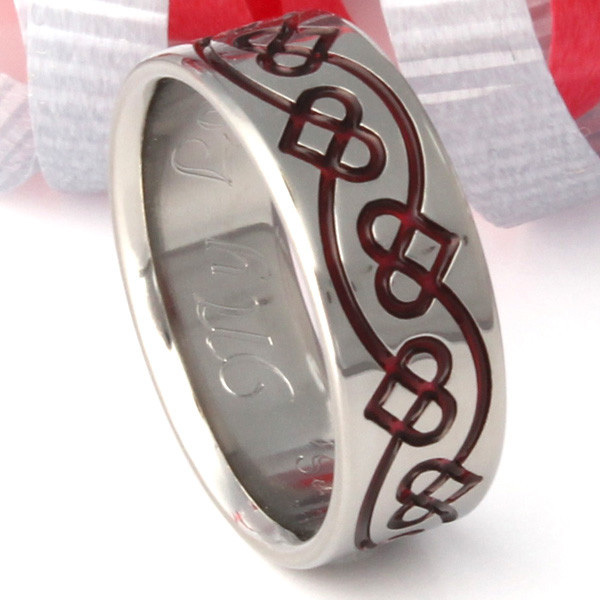 A gorgeous red color adorns the bands in the form of a beautiful Celtic knot pattern. 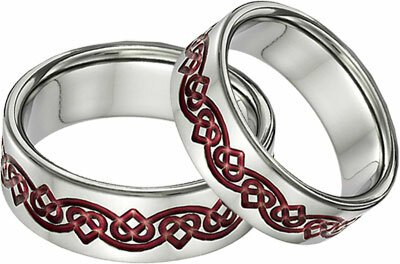 With interlocking hearts covering the bands, these rings are truly a testament to your enduring love. The bands are crafted of titanium for an equally enduring strength. Titanium is not only a super strong metal, but it's also super light, making it an ideal choice for active couples. We guarantee our Red Titanium Celtic Heart Wedding Band Ring Set to be high quality, authentic jewelry, as described above.